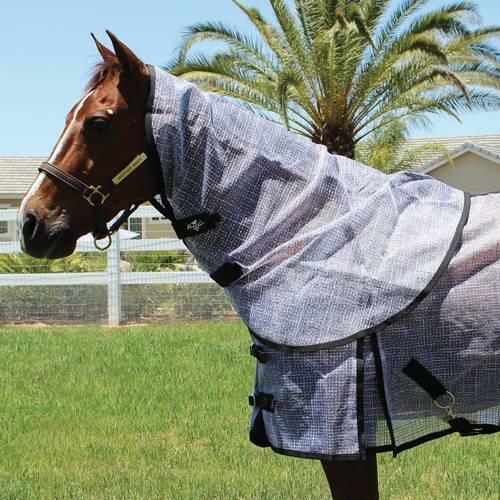 The Professionals Choice Fly Sheet is one of the most durable fly sheets on the market due to polyester rip-stop technology. 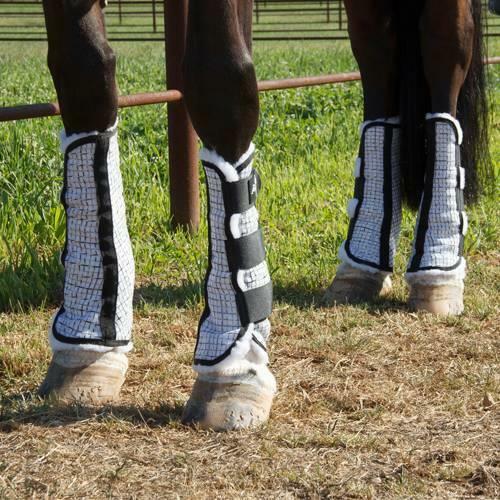 It is constructed out of an ultra strong, uniquely breathable and UV-protective nylon mesh that resists stains and wrinkles. The open front design with double buckle closure ensures a perfect fit. 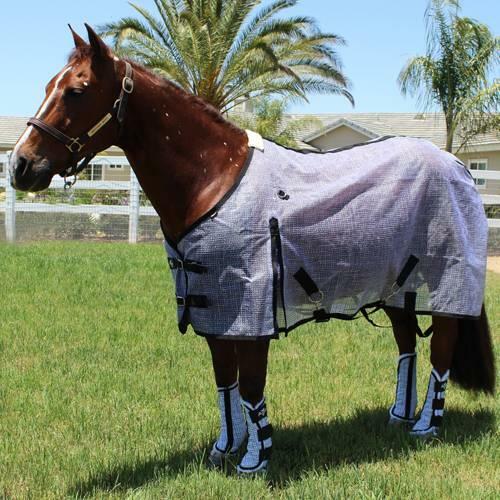 The West Coast style surcingle and leg straps keep the blanket securely in place. 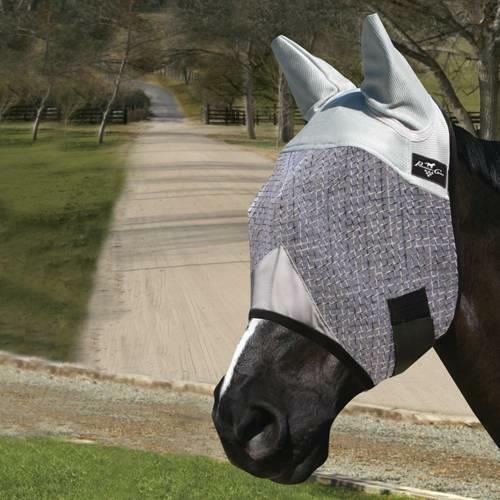 Nylon lining at the chest prevents hair rub out and fleece at the withers protects the mane against rub out. 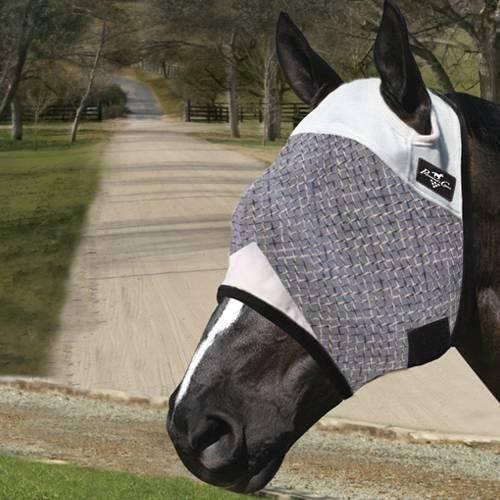 This fly sheet is designed to match the Professionals Choice Fly Masks, Neck Cover and Professionals Choice Fly Boots. Available in Gray/Black trim only.